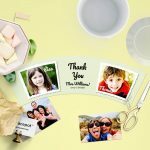 Preschool graduation gift for a teacher, daycare or pre-kindergarten group with two photos and a personal Thank You note. 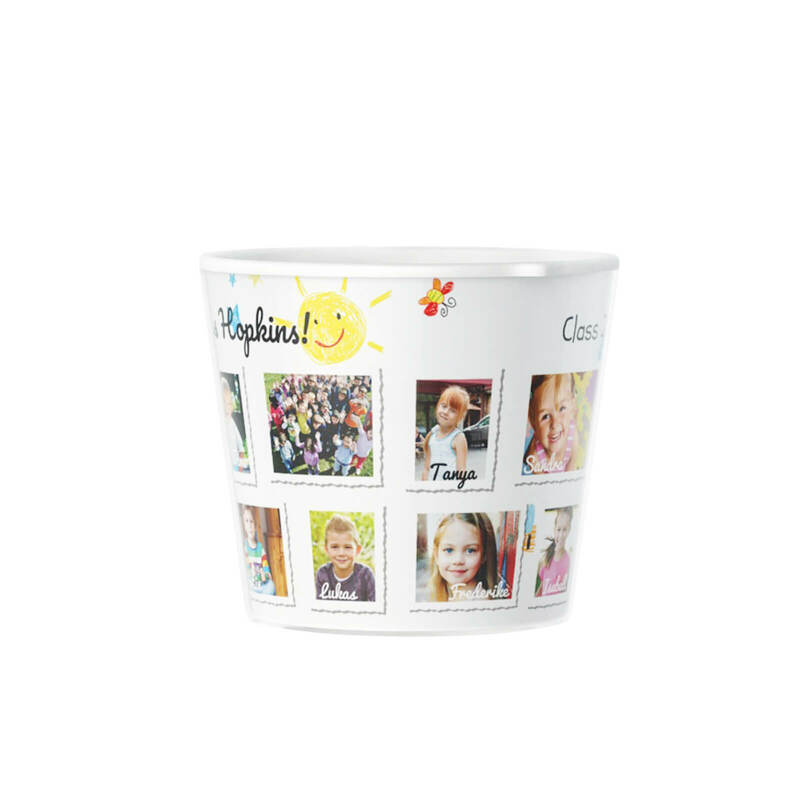 Here our tip: Get 2 portraits of your children before and after the kindergarten time or two group photos of the whole class. 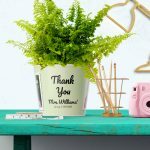 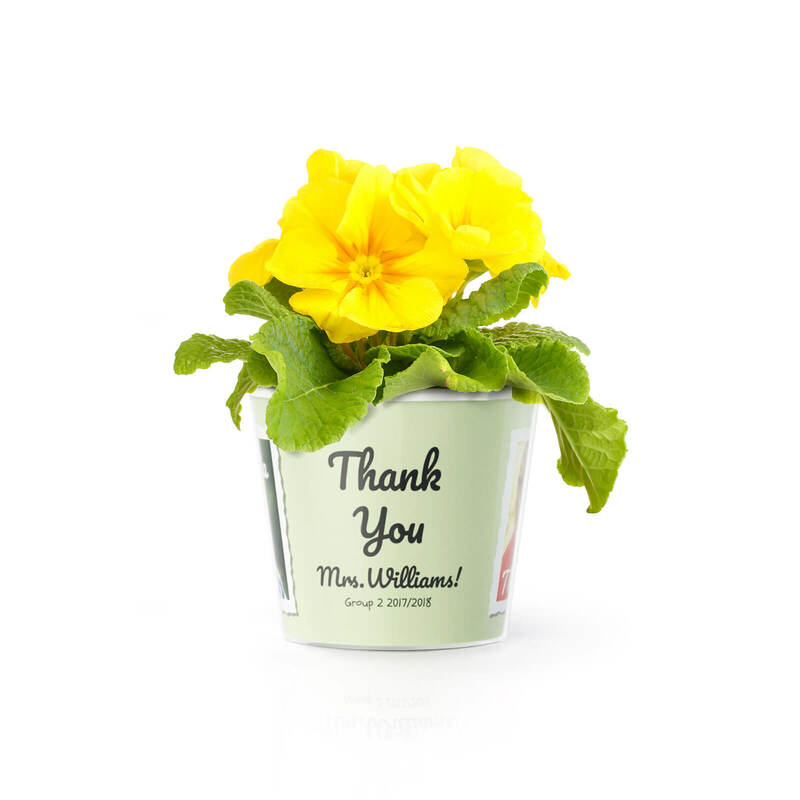 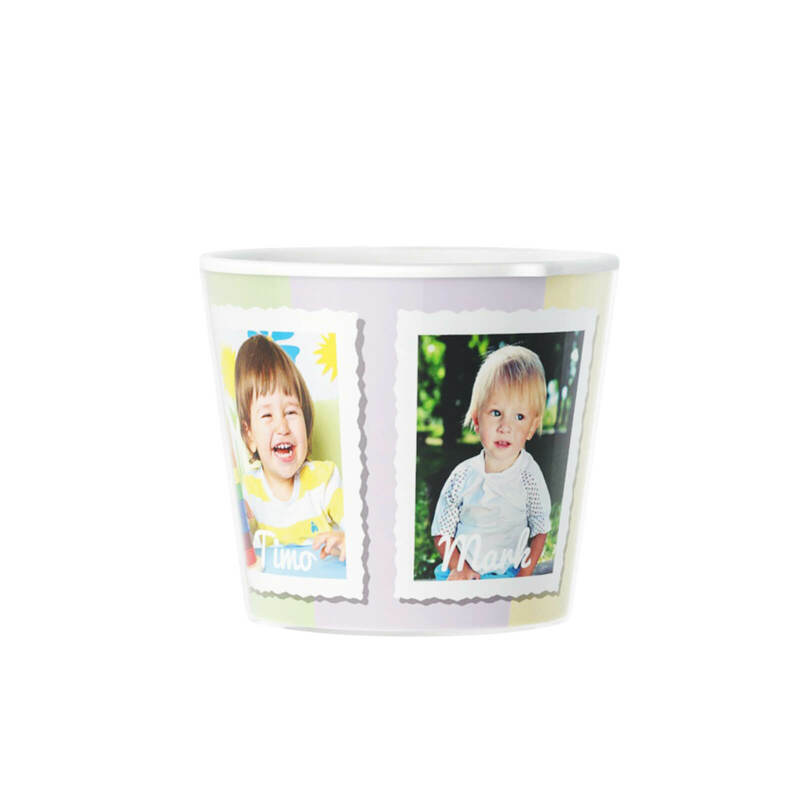 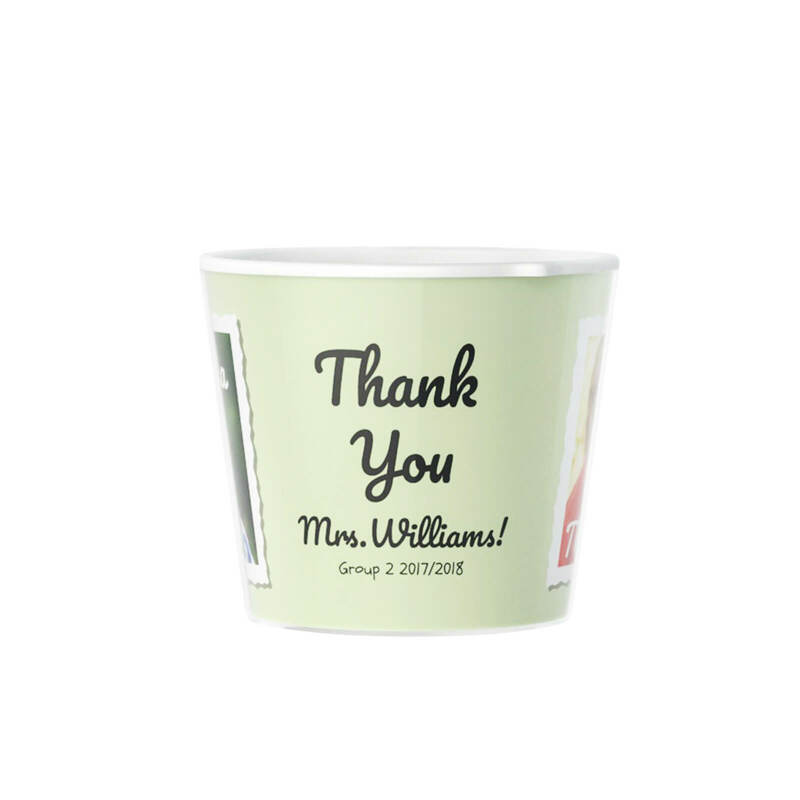 Then take this flower pot and you can make a special gift for a teacher assistant or something that will remind your teacher of his kids appreciation forever. The flower pot works best with middle sized plants like a Fern, Bromeliads, growing herbs like Basil and hundreds of other plants at the flower shop next to your street. 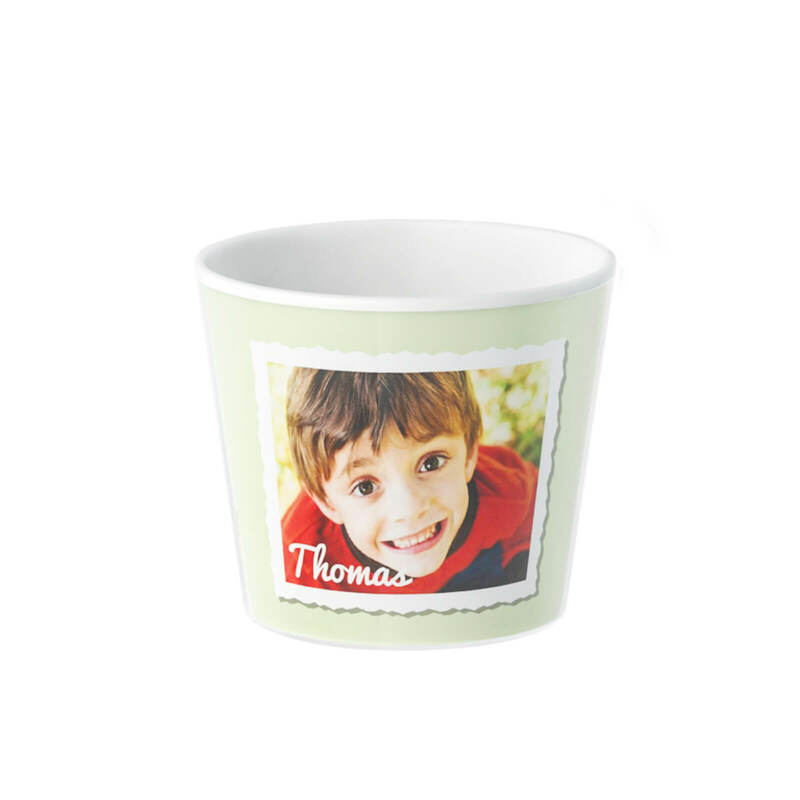 Everything can be made on the this product website. How about tying it? Make yours today!